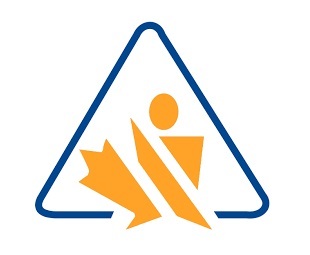 On February 11, 2015, Health Canada published in the Canada Gazette, Part II the Hazardous Products Regulations (HPR), which modified the Workplace Hazardous Materials Information System (WHMIS) 1988 to incorporate the Globally Harmonized System of Classification and Labelling of Chemicals (GHS) for the workplace. This modified WHMIS is commonly referred to as WHMIS 2015. The Controlled Products Regulations (CPR) has been repealed. The first deadline for Canada GHS implementation for SDSs and labels was originally June 1, 2017. As of June 1st, 2017, the new Hazardous Products Regulations (HPR) was to come into effect. Although Canada and the United States worked diligently to align their adoptions, there are still some significant differences between HazCom 2012 and WHMIS 2015. Contrary to popular belief, a US compliant HCS 2012 document is NOT compliant with the new Canadian regulations. Canada adopted Version 5 Label Statements for most classifications whereas the US adopted version 3. 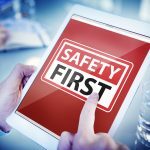 This will lead to different statement requirements for the Prevention, Response, Storage and the Disposal sections of your label as well as on your SDS. These differences will lead to non-compliance when selling your US product into Canada with a HazCom 2012 SDS and label. As there were many issues brought forth by Canadian manufacturers, Health Canada delayed the adoption until June 1st of this year. 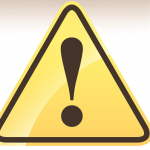 As of June 1st, Manufacturers/Importers and Distributors must be using the new GHS formatted and classified SDSs. In the past, Dell Tech had created a US GHS/WHMIS 1988 document for those requesting an SDS that was compliant for both the US and Canada. That included the new US version 3 GHS statements as well as the old CPR statements and symbols for Canada. This document WILL NOT be compliant come June 1st of this year as the statements need to be updated and Canada needs to be using the new pictograms rather than the old WHMIS symbols. You may not use the Version 3 statements here within Canada and your SDS will require an update. We urge our clients to start the process of moving from WHMIS 1988 to WHMIS 2015 NOW. Label changes can be a very lengthy process which needs to be under way already. Please ensure that you and your company have started this process.